Gift your special ones with our Best collection of Diamond Pendants. We are having a special collection of pendants which can be a gift as a power and gives meaning to your gift. We can even make special cause pendants for you. Mostly our pendants are features black diamonds . 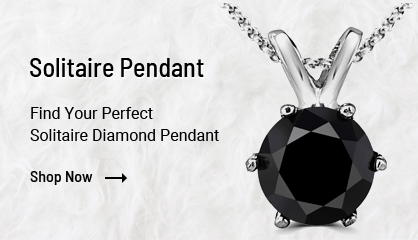 We have a huge variety in solitaire pendants. The metal used in pendant comes in three colors which are rose gold, white gold, and yellow gold. 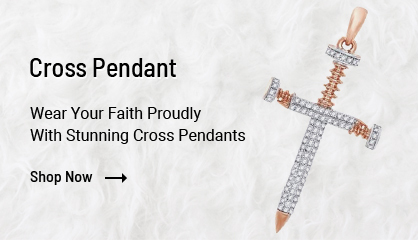 We also have varieties of cross pendants and symbol pendants which holds strong and ideal meanings. 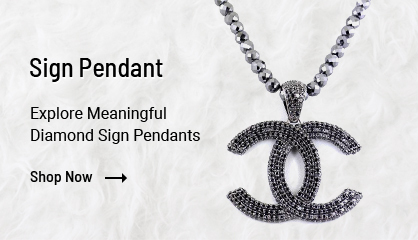 Our artisans are well trained to make trendy design pendants which most of the people buy. Rest you can check our collection and shop happily. Special pendants are available for mothers day, fathers day, valentines day and friendship day. If you have any custom request for making a pendant then you can ask us for sure anytime. We can make any diamond pendants at the best price just because we have very well skilled jewelry artisans. Also, we are the leading diamond jewelry manufacturer and we serve across the globe. 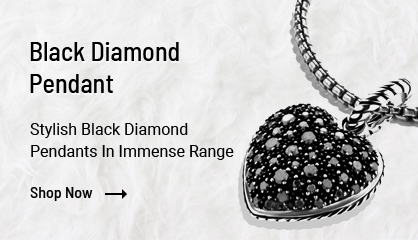 So just browse for the latest arrivals in our diamond pendant collection.